The other day I was browsing the internet while reading my favourite blogs, I came upon this post from Cathy Zielske. This got me thinking about my own online presence. I have been actively involve with social media as far as I can remember. Every time there's a new and trendy social media I was on it. Back then there was Myspace, Friendster, digital scrapbook forum, photography forum and some of them that I can't even remember anymore. The scrapbooker / memory keeper in me scolded myself a little bit because it didn't occur to me to document my online presence before. So today I will like to share with you where you can find me on the internet right now. Some of the platform I am active, some I am moderately active and some I'm not active but would love to be active. #1. 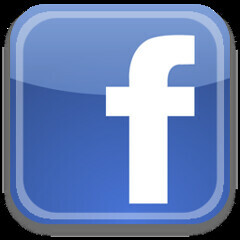 Facebook - I have been with this social media the longest ever since it was an invite only community. I love the old facebook the best. It used to be so much fun with a small community. Now this social media has become something else. I still remain active with facebook but now my focus has shift to promote my blog and stay connected with scrapbook community and all things related to memory keeping. I have a personal facebook and a Fan Page Facebook for my blog. #2. 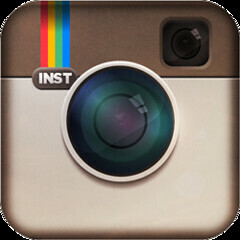 Instagram - I love instagram. Instagarm was the reason why I switched my phone from Android to iPhone. Back then Instagram was only available for iPhone. Now Instagram has grew bigger and it was supported on multiple platform. At the moment I have created two instagram account- one for my obsession with planner (planwithhaniz) and the other one is my daily life recorded on instagram (hanizeyecandy). #3. Blog - This blog is my baby. 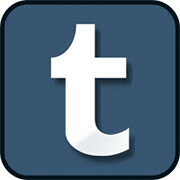 I have been blogging for awhile now and I have switch between blog so many times and in the end I stick with blogspot. I don't sell anything in this blog. It's just a piece of my life that I would have like to share, document, preserve and inspired others. (http://haniz-eyecandy.blogspot.com). I also have a second blog which I posted only photos. My intention was to post a little bit of my life in photos at once a day and write a little caption about it. I have been neglecting this site a little bit. I wanted so bad to have a place where I can post totally random photos of my everyday. #6. Pinterest - I love Pinterest. It took awhile for me to get the hang of it. It's a place where I find inspiration and get connected with other creative people out there. This is the place where you have to experience it for yourself. (https://www.pinterest.com/hanizeyecandy/). Hanging out here always left me with new ideas and inspiration either to reorganized my desktop or kitchen to working out at home. #7. Goodreads -I am obsessed with books since I was a little girl. I used to read a lot back then. When I grew up and became a mother, somehow my passion for books dropped. Now I am trying to get back on book reading wagon and maintain a reasonable amount of books that I read in a year. 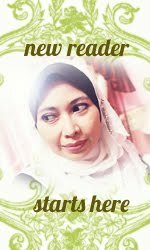 I joined Goodreads back in 2009 but I was not active here. Lately I have been reading a lot of books because was inspired by the community in Goodreads. #8. Twitter - This is a place I go when I want to catch up on what's trending at the moment and any news around the world. I used to hang out here often but now I am not on twitter as much. You can still follow me here . I will still be posting on what's new at my blog or instagram. I need to schedule some time to read my twitter feed and stay connected. #9. Youtube - I am not much of youtube person. I only have a few videos posted. I still hang out on youtube a lot because I love watching youtube more than watching TV. Who knows maybe one day I will be incline to post more videos. The videos editing technology get simpler every year. I might give this a try. In case you are wondering, you can find me here. #10. Googleplus - I am not really active here. It's just that most of my blog post are automatically feed to google plus. I am really sure how it works or how fun this place is. Hemmm maybe I should take the time to explore Googleplus. So if you are new here, these are the place where you can find me online. If you are my loyal reader I say thank you for your support, thank you for taking the time to read my rambling about life and thing I am passionate about. 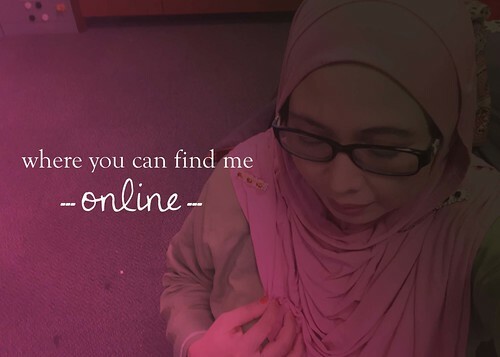 Leave a link to your social media a.k.a where I can find you online. I would love to stay connected with you. like everybody, me too not really hook on facebook like before.